But you would instantly distinguish a bison from a wildebeest. Significant changes have taken place in the millions of years since the two animals shared a common ancestor. In addition, with very little practice, you would quickly discern the fossilized bones of each. No African creatures evolved to exactly resemble the American bison and no wildebeest herd ever roamed the Kansas grasslands. Similar, but distinct – though they have common ancestors. Most geologists believed that some sort of land bridges, now sunken below the waves, had helped creatures (including plants and snails) roam freely between the continents. There are modern land bridge examples – Central America links the American continents, allowing migrations; Alaska and Russia have periodically shared a land bridge that animals such as horses, camels, and humans have crossed. This, with a stretch of imagination, could solve the problem of the distribution of fossils. However, by 1900, no signs of any long-lost sunken bridge between South America and Africa had been discovered. Nor between Newfoundland and Norway, nor Australia, Asia, and Antarctica, nor any of the other dozen places they were needed to account for fossil similarities. 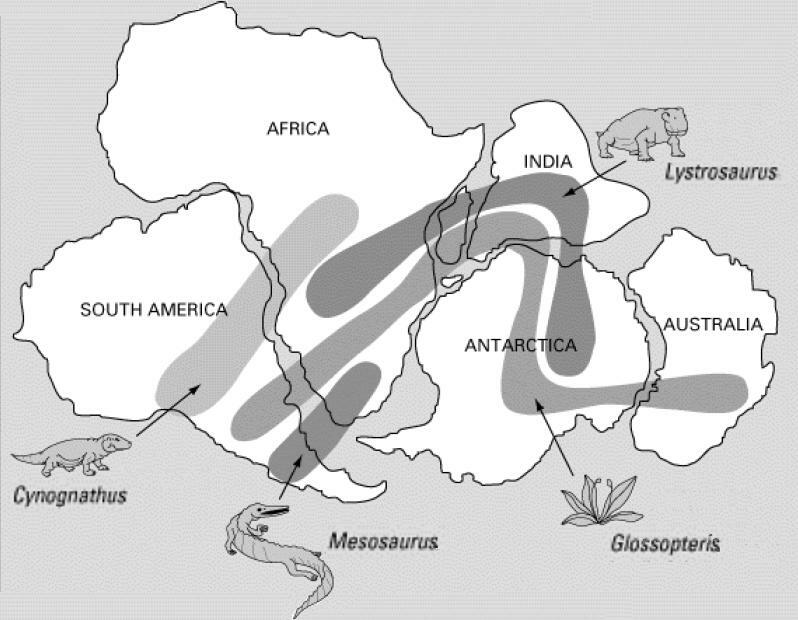 An alternative solution was to assume that the problematic fossils had arisen upon a single supercontinent which split apart, pieces drifting off to become autonomous landmasses, thus disconnecting those ancient plant and animal fossils in the process. But to most geologists at the time, drifting continents seemed highly improbable. The person who best explained how fossils might have become scattered without the help of land bridges was not trained as a palaeontologist, botanist, nor even as a geologist. He was, instead, a polar explorer, a university professor, and a meteorologist. Although Alfred Wegener is at the heart of the theory that would eventually explain how fish fossils appeared on mountain slopes, he was not an Earth scientist. 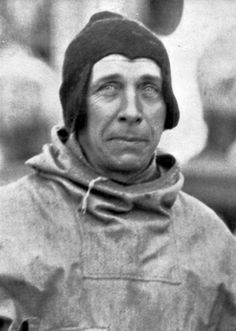 Wegener was more comfortable on icy plains than mountain ridges. But as an outsider, he offered a fresh perspective on the Earth’s changing landscape. 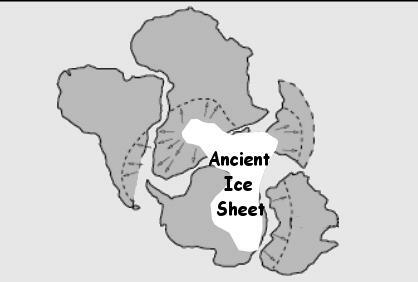 Wegener and other climatologists wondered aloud about tropical fossils (and coal deposits) discovered north of the Arctic Circle and ancient signs in the Sahara (rock scratches called striations, plus distinctive rock rubble) that could only be made by glaciers. Pangaea’s proposed visit to the south pole. Arrows indicate glacial striations. Finally, Wegener broke his supercontinent into drifting pieces which distributed coal seams, fossilized coral reefs, glacial striations, and salt beds to places that are impossible in today’s climate. Continent mobility, as improbable as it seemed to geologists a hundred years ago, best explained such strange climate relics. For meteorologist Wegener, the world-wide distribution of ancient glacial remains such as till, drummonds, eskers, and especially striations, were compelling evidence that the continents had moved. Something very odd had happened to the Earth. The planet’s surface had been hot, then experienced a deep freeze at the start of the Permian. Wegener noted glacial striations are found in North and South America, India, Asia, Europe, and even the Sahara. Such grooves are uniquely etched by the weight of glaciers as they drag stones across underlying rocks, leaving telltale scratches, or striation signatures. Nothing else causes them. This was a major problem for geologists. How could so many locales – including places on the equator – have been massively iced? Unencumbered by colleagues or mentors attached to established geological precepts, Wegener weighed the evidence. His detachment enhanced his daring innovation, but it also made him a target for rejection, a rebel dismissed as an uninformed outsider producing misguided speculations. Ultimately, his contribution to geology led to the best model for explaining the Earth’s dramatic scenery. With Wegener everything – earthquakes, volcanoes, distribution of rocks, glacial debris, and fossils – falls neatly into place. He advanced the crucial theory that answered the most enigmatic puzzles about the Earth. But his big idea was rejected for fifty years. His contributions were only appreciated decades after his death in a blizzard on his final Greenland expedition. We will continue our story about Alfred Wegener tomorrow when we examine his papers, his big idea – which he called continental displacement, but Americans translated more whimsically as continental drift, and his book, Die Entstehung der Kontinente und Ozeane (The Origin of Continents and Oceans). We’ll also begin to look at the extreme animosity that greeted his work. This entry was posted in Climate, Geology, History and tagged Alfred Wegener, climatology, continental drift, fossils, Pangaea, Permian. Bookmark the permalink.